I was recently asked to compile my All-Time Barnet XI to the programme team (you can find my article here). This week it only seemed apt after my previous entry to focus ‘where are they now’ on the team I selected as my All-Time XI. Lee spent most of his career with the Bees and managed to reach the feat of 300 appearances for the club in two spells; as well as receiving Player of the Year for three consecutive seasons with the club. Lee left Barnet at the end of the 2009/10 season and as well being a goalkeeping coach at Dagenham and Redbridge, he then went on to join non-league Hayes and Yeading. 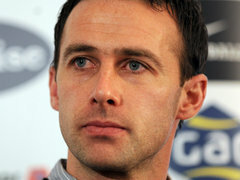 These days he is assistant manager at Newport County. Hendon joined the club in 2003 after a spell on-loan from Sheffield Wednesday. He was made captain in his second season with the club and epitomised everything a skipper should be – playing a key role in the back four for four years. After retiring from playing at the end of the 2008/09 season, he decided to concentrate on management – following a role in the team’s management alongside Paul Fairclough. He became manager after Fairclough stepped down, and although was on a two-year contract, was sacked in April 2010 – joining Dover Athletic. He left that post after 18 days and is now assisting Andy Hessenthaler at Gillingham. Linvoy joined Barnet at the start of his career, after two years at Charlton and quickly cemented himself within the first team, racking up over 100 appearances in three seasons. He left the club for £250,000, joining Reading – where he lasted another three seasons. From there he went on to Portsmouth, where he is probably most remembered; spending nine years with the South coast club. However, towards the end of his career, injuries persisted; eventually causing him to retire at the end of 2009. Yakubu was once the longest serving member of the squad – joining at the age of 11 and signing a professional contract at 16. He made his debut at 17 at the same time he was taking his A Levels and was integral part of the squad – falling just short of 300 appearances, despite being plagued by injuries. After being released in 2010, he joined AFC Wimbledon, coming off the bench and scoring a penalty in their play-off final against Luton Town. He now plays for Blue Square Premier outfit, Newport County. Kingy, another long serving defender joined the club in 2003 and notched up over 150 appearances as well as winning Player of the Year in 2006/07. Unfortunately he left that season (although for a ripe sum of £200,000) and joined Gillingham where he’s currently playing – although an ankle injury kept him out for an entire season in 2009. Albert was a much-loved member of the squad in his two years with the club. His tricks were something special and his performances were the highlight of what was, a terrible season. He always played with a smile on his face and his runs and flair were unpredictable – the majority of the time he was double marked by opponents, but he always managed to get passed them! He left the Bees in 2010, and now plays for Bristol City where he features regularly. Glad he’s been given the chance to play at a higher level, and he can only go on to bigger and better things! Nicky was another popular player amongst fans, particularly with the partnership he had in the centre of midfield with Deano – also leaving in 2007 for a fee. He joined Southend where he lasted a season (winning the Player of the Year award) and moved to Charlton for a large sum of £750,000. He now plays for Middlesbrough. Deano was a popular face amongst the squad throughout his three years with the club, and many were sad to see him go in 2007, despite the £125,000 we managed to get for him as he headed off to Charlton. Despite never playing, he also played on loan in numerous spells with Cheltenham and Grimsby; as well re-joining us for 3 matches. 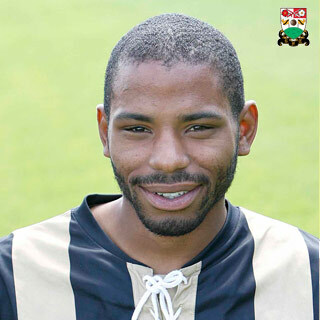 In 2010 he joined Grimsby Town, where he was loaned to Cambridge United. Released by the Mariners at the end of the season, he’s now a free agent. Puncheon, again, was another that gave the impression his time at Barnet would be limited as he’d be destined to go on to player in a much higher league. And that was the case when he signed for Plymouth Argyle in 2008. His time there was largely unsuccessful and spent most of the 18-months on loan at MK Dons, with three spells at the club. He joined Southampton in 2010 and played regularly under Alan Pardew; however when Nigel Adkins took over, he became out of favour – joining Millwall on loan, as well as then-Premiership outfit Blackpool. In his career, Jason, therefore, has managed to score in all four tiers of the Football League and I wouldn’t be surprised if he joins a Premiership club in the current window. Graz is a real Barnet man who lives and breathes the club. After his countless goals won us promotion to the Football League (and won golden boot for 2004/05), he joined Braintree Town and Dover Athletic before a horrific injury caused him to retire. After playing though, Graz joined Barnet again in April 2010 working in a behind-the-scene role as community development officer. He was then made assistant manager to Martin Allen last season, and after his shock departure, was made caretaker manager – managing the great escape! He is now assistant manager to Lawrie Sanchez. One word sums him up: legend! Dougie began his career with the Bees, joining from QPR’s youth team (he never made a first team appearance). He only lasted a season but scored 24 goals, propelling a £800,000 move to Crystal Palace. 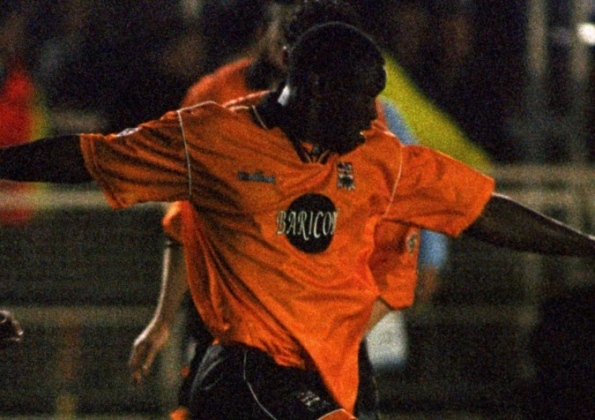 He spent 10 of his 16 playing years at Selhurst with three years in between at Wolves and Notts Forest. In his second spell with Palace, Dougie racked up well over 200 appearances and was given legend status for his time and services to the club. He ended his playing career with two years at Southend United before having his contract terminated to join Palace’s coaching staff. He’s now managing Palace where he’s held in highest regard. Of late he’s also continued to big us up on BBC’s Late Kick Off. Next week’s ‘where are they now’ will look at the players involved in the first great escape of 2009/10 – the starting XI that managed to beat (already promoted) Rochdale in the final game of the season to preserve League status. If there are any squads from yesteryear you would like to see included in this feature - whether it be from a season, or particular match – don’t hesitate to let me know. Send suggestions / comments to my Facebook or Twitter.